On Tuesday, June 19, the Bering Sea crab fleet hits dry land. “It’s really hot out today in Breckinridge,” Josh Harris tells Zap2it from the latest location for “After the Catch” — the roundtable companion show to Discovery’s Tuesday reality hit “Deadliest Catch” –at the Whale’s Tail restaurant in the Colorado ski-resort town, far from any ocean. Reminded that’s a far cry from the bitter cold and crushing ice suffered by the crab fleet as it sought opilio crab on Alaska’s Bering Sea during the first half of 2012, Harris says, “Oh, yes, it is. God bless it. God bless it. That’s all I can say about that.” “It’s probably in the 80s here,” adds Harris. 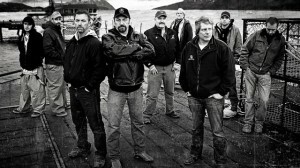 Among those on the new season of “After the Catch” are crab captains Andy and Johnathan Hillstrand of the F/V Time Bandit, Keith Colburn of the F/V Wizard, “Wild Bill” Wichrowski of the F/V Kodiak, and Sig Hansen of the F/V Northwestern. 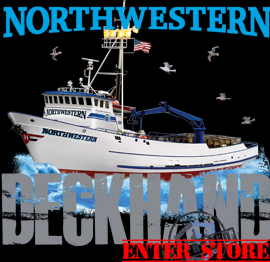 Also sitting in are deckhands from the various boats featured in the series, including Time Bandit crewman Harris — son of the late Phil Harris, captain of the F/V Cornelia Marie — and Jake Anderson, Hansen’s protege aboard the Northwestern. In fact, it was Hansen who performed Anderson’s recent wedding, held May 12 in Seattle, Wash., the Northwestern’s home port.